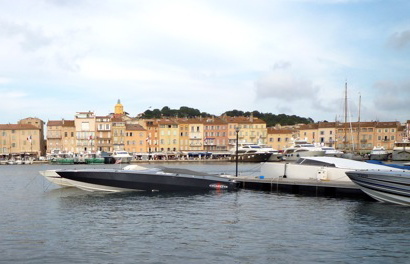 Saint Tropez is the most famous of the many fascinating travel destinations along the French Riviera (Côte d'Azur). Offering an exquisite setting for holiday excursions and other special occasions, Saint Tropez plays host year in and year out to the rich and famous. The jet set, fast cars, exquisite boutiques, swanky hotels and restaurants, exclusive clubs and a resplendent display of luxury yachts have all contributed to the mystique of Saint Tropez. And with all of its shine and sparkle, it naturally draws throngs of curious onlookers. 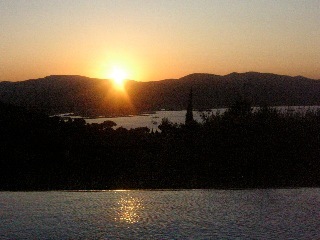 There are no less than 58 hotels and 170 clothing boutiques in Saint Tropez. If you wish, you too can catch a glimpse of more stars and starlets than are on display in the tabloids – but only if only if you wish. Despite its reputation for glamour, the picturesque little fishing village of Saint Tropez, which was made famous in the 1950s by movie stars (Brigitte Bardot) and artists (Matisse), is still there to be discovered. Thanks to its strict urban development regulations, Saint Tropez is free of the building travesties one often encounters in other formerly beautiful resort areas. It has thus retained its picturesque landscape, gracious architecture and quaint streets and alleys. To gain a feel for this other Saint Tropez, you need only take a short walk up to the 16th century citadel perched directly above the town. Currently housing a maritime museum, the citadel and its grounds afford visitors a spectacular view! Like no other resort town, Saint Tropez offers its visitors a full spectrum of impressions, ranging from simplicity to opulence. There are down-to-earth locales with a Bohemian flair and there are temples of fashionable elegance. Even Saint Tropez’s legendary nightlife has something for everyone, and not just for younger generations. The villages surrounding Saint Tropez make for peaceful and romantic day-trip destinations. In the summer, they play host to a wide variety of theater and music festivals. Shaded places under sycamore trees will tempt you to linger in any of numerous cozy outdoor cafés. Pampelonne Beach, with its many beach clubs and public access sites, is the Mediterranean’s longest and most beautiful sand beach. In addition to Pampelonne, there are four other less-frequented, but very beautiful beaches. These are often nearly empty even during the peak season. Surrounded by oak forests and vineyards, Saint Tropez is an excellent base for wine connoisseurs and others interested in wine tasting. The towns and villages in the immediate vicinity make for ideal day-trip destinations. Some of the more famous villages include the medieval Ramatuelle, Grimaud with its castle, Gassin, which bears the distinction of being the prettiest village in France and also offers spectacular views and excellent restaurants, and Port Grimaud, often referred to as the Venice of France. Day trips to the nearby foothills of the Maritime Alps and the Massif des Maures are just as popular as day trips to any of the romantic offshore islands such as Porquerolles. Cannes, Nice and Monaco are also not far away. Lovers of painting and photography will be thrilled by St. Paul de Vence. Then there are the numerous markets and antique fairs throughout the region, not to mention the famous lavender fields of Provence. Opportunities to play sports abound, including all types of water sports, as well as tennis, hiking, mountain biking and climbing. Or try your hand at Pétanque, a special regional variation of bocce ball. Then there is polo, which you can either play yourself or experience as a spectator. Beyond this, there are three challenging 18-hole golf courses in the immediate vicinity. These include the private golf club in Gassin, which is open only to members and “local” residents. Copyright © 2019 Villa St Tropez. All Rights Reserved. Designed by JoomlArt.com.